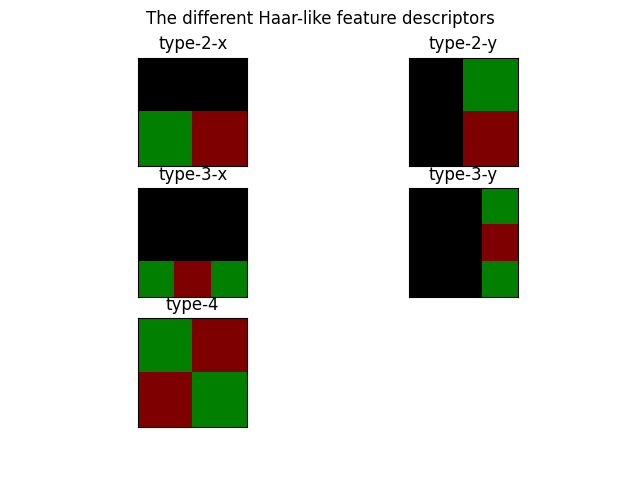 Haar-like features are simple digital image features that were introduced in a real-time face detector 1. These features can be efficiently computed on any scale in constant time, using an integral image 1. After that, a small number of critical features is selected from this large set of potential features (e.g., using AdaBoost learning algorithm as in 1). The following example will show the mechanism to build this family of descriptors.